We own over 35 characterful and historic pubs and inns including the Sticklebarn Tavern in Great Langdale, Cumbria, which we run ourselves. As well as offering a refreshing welcome, lip-smacking ales and delicious local food, many of the pubs in our care have great walking opportunities nearby. Here are a few of our favorites. 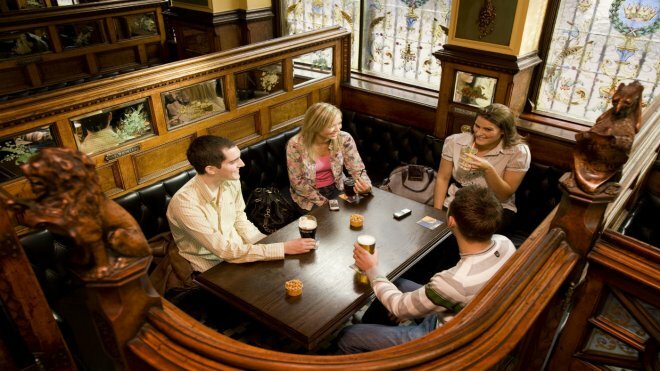 The Crown Bar is a gem, hidden in the streets of Belfast. Its wonderfully atmospheric setting, with period gas lighting and cosy snugs is a perfect restorative after some urban exploration or a roam around the meadows and woodlands of Minnowburn. The Fleece Inn at Bretforton was first licensed in 1848 but was originally built as a farmhouse. It’s just a stone’s throw from the walking wonders of the Cotswold Way National Trail at Chipping Camden, or take a trip to Hidcote for a peaceful garden stroll. 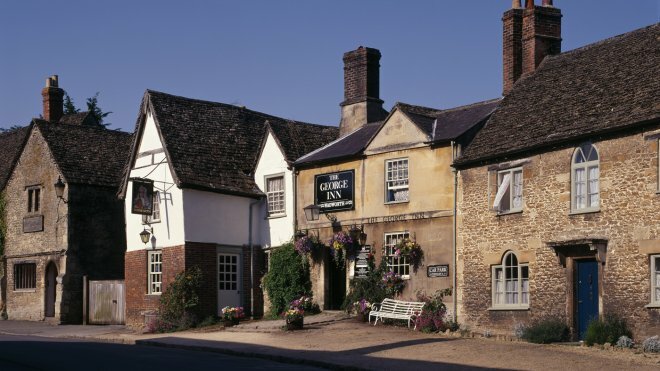 Dating back to 1361 and featuring a huge open fireplace, the George Inn encapsulates the spirit of old England. We look after much of the historic village of Lacock and there’s lots to explore on foot from the grounds of Lacock Abbey to village and riverside walks. 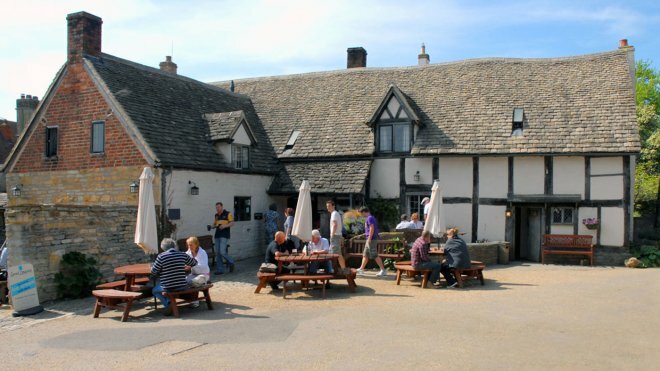 We also own the Red Lion pub in Lacock. 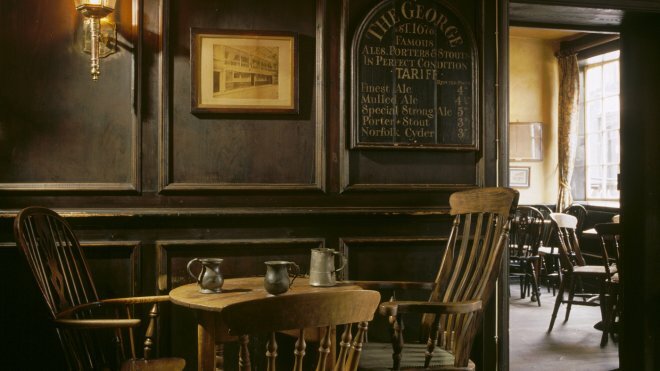 The capital’s last remaining galleried inn, The George Inn in Southwark could be a welcome refreshment stop on a walk along the Thames Path National Trail. The site has connections with Charles Dickens, who visited it when it was a coffee shop and mentioned it in Little Dorrit. There’s not many pubs that are tucked away on an 18th-century estate and surrounded by over 600 acres of beautiful woodlands, gardens and historical buildings. At Gibside you can enjoy a walk and discover the history as you go. 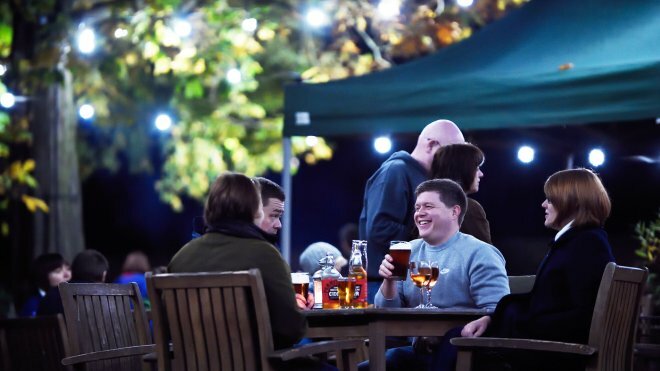 Then relax in the peaceful surroundings at Gibside Pub, and on Friday and Saturday evenings the bar is open until 9pm when there’s made-to-order stone-baked pizza on offer.